Tunisia is one of the few places in the world where our visitors can compress centuries of history into a pleasant environment. Tunisia is a country full of contrasts that possesses the gift of harmony: it has witnessed successive civilization of opposing cultures, Phoenicians, Carthaginians, Romans, Turks, Arabs, Spaniards, French, and yet in spite of the ruins and the bloodshed, the scars left are not deep. On the contrary, this succession of administration has established continuity, with each new regime taking something for the better, from the one that preceded it. Rome, for example, not only left to Tunisia some of the most admirable monuments of Roman Africa but also a culture, a spirit even, an impression of cosmopolitanism and tolerance that today, twenty centuries later is still very much alive. You may very well say that all this has little to do with holidays. Not at all. 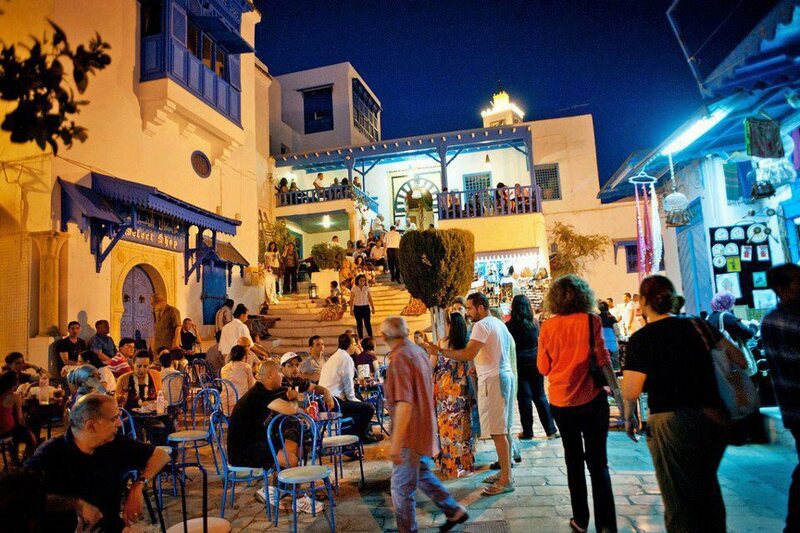 The tourism that PromoTunisia is championing not only consists of admiring beautiful sites, visiting museums and tasting the great Tunisian cuisine, but above all of absorbing something of the real life around. Weaving of influences, at the crossroads of Africa, the East and the West, in the heart of the Mediterranean ethnic mixing, country with a booming economy, Tunisia offers a multiplicity of faces in harmony with its culture and traditions but geared towards progress and modernity…it seems to gather in one single place the various looks of the towns around the Mediterranean basin. Tradition and modernity rub shoulders. In a country enjoying climatic and political stability, the houses still keep an open door to the street. The mean of communication are very reliable and sightseeing is easy and full of joy. In Tunisia, you will enjoy discovering a 3000 years history legacy made of great civilizations while appreciating nature in all of its aspects, sea, mountains, plains and desert. Tunisia unites various geographical, climatic and cultural characteristics that make it ideal for lovers of areas where the sea, mountains, oak and willow trees forests overlap. Tunisian’s gastronomy finally will be the highlight of your trip through the variety of the meals, the flavor of the spices and the freshness of the ingredients. Tunisia has high quality standards in service, modern facilities and infrastructure, highly competent and skilled tourism professionals. Dynamic society, the most progressive institutions in the Arab world, a buying power getting closer to that of the developed countries, Tunisia is considered as the African and Arab “tiger”. The country’s economic model that was put in place after the independence, and the focus on education, health and infrastructure built a modern state. There are no differences between girls and boys at school, both genders are required to attend school until the age of 16. However, in the 21st century, Tunisia’s post independence economic model could not last with globalization and technology, and in 2011, Tunisia was the birthplace of the Arab Spring revolutions. 50% of Tunisian are less than 25 years old and they rose to demand dignity, more economic opportunities, more justice and a system that is fair and balanced. Women and youth were at the forefront of this movement. Women are well established at every level of the society, they enjoy a unique status in the African and Arab World: Tunisia is indeed a country that provides equal rights to women and men since 1956 and the only Arab country that prohibits polygamy by law. Arab, Berber, African, and European influences have helped shape the unique Tunisian cultural identity. The overwhelming majority of the population is Muslim, and the official religion is Islam. However, Christian and Jewish communities practice their faith freely and contribute to Tunisia’s rich cultural diversity. Tunisia’s historically moderate and pragmatic character is reflected in its approach to Islam, the religion of the vast majority of its population. Conciliation and modernity have characterized the Tunisian approach to Islam for decades and even the nation’s theologians refute the fundamentalism and conservatism of radical Islamic movements. Violence is foreign to the Tunisian character and is entirely unacceptable, whether in the name of religion, economic advancement or political gain. Although the Jewish and Christian populations of Tunisia are very small, the practice of tolerance and brotherhood is considered a basic concept of the Islamic tradition, which grew from Judeo-Christian roots. In the 3rd and 4th centuries, church fathers such as Tertullian, St Cyprian and St Augustine worked and preached in early Christian Carthage. Remains of early places of worship and art are evidence of a significant indigenous Christian population, whose disappearance by the 12th century has not been fully explained by historians. While there are no native Christian communities in Tunisia, Christian instructions remain welcome. Over two hundred Catholic priests and nuns run churches, among them the Tunis Cathedral, as well as seventeen schools wich educate 6,000 Muslim students. Christians assist in the care of handicapped children and the White Fathers’ Institute of Arab Humanities is still a center of intellectual influence. In April 1996, Pope John Paul II visited Tunisia and enjoined Tunisians to defend the presence of Christians, as well as to carry on the dialogue with moderate Islam. How old are Tunisian’s Jewish settlements? The answer to this question is almost as hard to determine as the age of Judaism itself or the geographic origins of the Berbers. The Jewish community on the island of Jerba is thought to date back to 600 BC, which would make them contemporaries of the Phoenicians who settled on the coast and eventually became Carthaginians. Did Tunisia’s first Jews, then, come with the Phoenicians from the Middle East? History gives evidence that the indigenous Berber tribes were pragmatic in the way they blended influences in the transition from paganism. Some chose to become Jews. In fact the redoubtable El Kahina, who led the Berber resistance to the Arab invasion was likely Jewish. By the 6th century, Jews in Jerba established the Ghriba Synagogue, which became an important site of Jewish pilgrimage. While the present building dates from the 20th century, it holds Torah scrolls which are among the oldest in the world. Although many Jewish Berbers accepted Islam, others clung to Judaism. To their numbers were added successive waves of refugees from persecution in Europe. From the time of the Visgoths through the Spanish inquisition to the Second World War, Jews found refuge in Tunisia. The family remains the basic unit of Tunisian society. With the assistance of public and private institutions, it continues to function as a vital support mechanism for the individual at all stages of life. The resilience of the family structure did not prevent women from gaining a good measure of autonomy and pursuing their own careers on an equal footing with men. The legal rights and freedom which Tunisian women enjoy are unparalleled in the Arab world. Yet just two generations ago they shared the disadvantaged status of women which often characterizes Arab society. The rapid and permanent change in the status of women owes much to the personal vision of Tahar Haddad and former president Habib Bourguiba and his ability to institute sustained, far-reaching reforms. Among the first measures he took after Independence in 1956 was to introduce the Personal Status Code to improve the social position and treatment of women. This code stated that polygamy was abolished, persons directly concerned by marriage must consent to it, marriage of a minor needs to be authorized by the mother as well as the father, divorce is the prerogative of either the wife or the husband, Women have legal access to family planning and hospital abortion, penalties are the same for male and female adulterers, equal wages are required for equal work, everyone has the right to an education without discrimination. School attendance has long been mandatory and gratis and Tunisian women have voted since 1957. Having enjoyed full access to public life since the Independence, Tunisian women, today, are government ministers, doctors, lawyers, business owners, executives, and airline pilots. The official language is Arabic. French is widely used and English and Italian are spoken among a growing number of Tunisians. Located at the northernmost tip of the African Continent, Tunisia spreads over an area of 164000 km². Given its small size, Tunisia’s contrasting biological diversity is remarkable: over a distance of only a few hundred kilometres, one can pass from a Saharan landscape to lush cork oak forest which is easily accomplished by car in less than a day’s time! In addition, Tunisia is surrounded by approximately 750 miles of coastline, given the highest ratio of coastline to total surface area of all the countries in Africa. 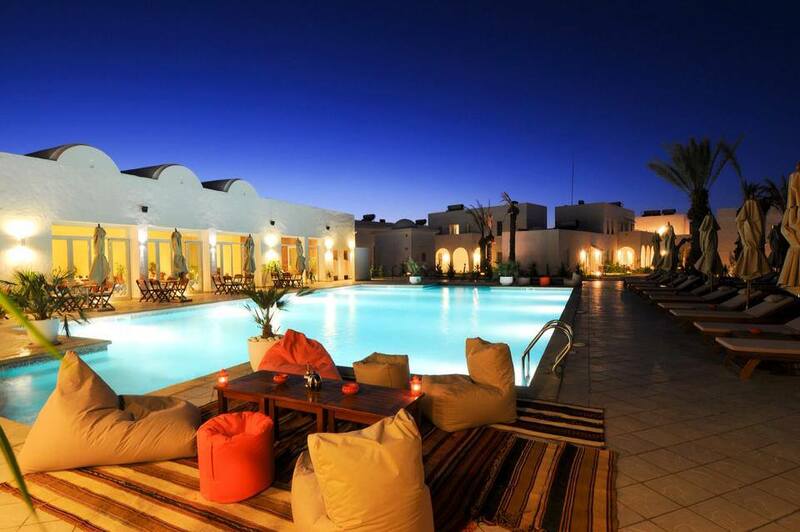 Tunisia lies within two hours of most European capitals and has air links with a total of 50 cities. Its seven international airports are served by flights by major international airline and by Tunisair, Tunisia’s own airline, which enjoys an excellent safety record. Passengers from North America can make easy connections through any of the major European gateway cities: London, Paris, Frankfurt, Geneva or Rome. There are still no direct flights from the United States. Due to its limited natural resources, Tunisia has focused on developing its human resources: the bulk of the national budget has been allocated to education, health care, housing and social services, while a comparatively small amount was spent on defense. Education is mandatory for girls and boys between the ages of 6 and 16. The private sector is encouraged to play a leading role in economic growth, and as a result, Tunisians have created a modern, diversified market-oriented economy based on an efficient agricultural sector, a growing manufacturing sector, and a thriving tourism industry. Tunisia’s GNP and social indicators have risen steadily since the independence in 1956. Per capita income has increased sevenfold, from $300 in 1956 to over $2,370 in 2010. Tunisia has enjoyed an average growth rate of 5.4 percent since the beginning of the 90s. Despite this achievements, Tunisia is in need of profound economic reforms, as it needs a growth rate of 8 to 9% to absorb the flux of youth who graduates from universities every year and address the unemployment issues. The Tunisian Dinar (TD) is a soft currency and is illegal to export it from Tunisia. The exchange rate with all major currencies is fixed daily on a nation-wide basis and is the same in banks, exchange booths, and hotels. The dinar is divided into 1000 millimes. Prices are expressed in thousands and written with three digits to the right of the decimal. One US dollar equals about 1.6 to 1.7 TD . Bank notes are issued in denominations of 5, 10, 20, and 30 TD. There are aluminum coins of 5 millimes and brass coins of 10, 20, 50 and 100 millimes. Major credit cards – Visa, MasterCard and sometimes American Express – are accepted in hotels. Credit cards and debit cards sometimes do not work in local cash machines. Travelers’ checks can be exchanged at banks, airports and some hotels. Do not expect small shops to accept credit cards, travelers’ check or foreign currency. Citizens of the United States and the European Union do not require visas for a stay of less than three months. Debarking passengers are asked to fill out a simple two-part registration form; one portion is presented upon arrival and the other kept for presentation at the time of departure. Visitors will be asked to fill out similar forms when registering at hotels. Citizens of Australia may obtain tourist visas from the Tunisian consulates in their countries. As a matter of government policy and reflected in general awareness, Tunisia’s citizens with disabilities are well integrated in schools, universities, workplaces ad community life throughout the country. Parking spaces reserved for the handicapped and wheelchair access in downtown areas have become standard. 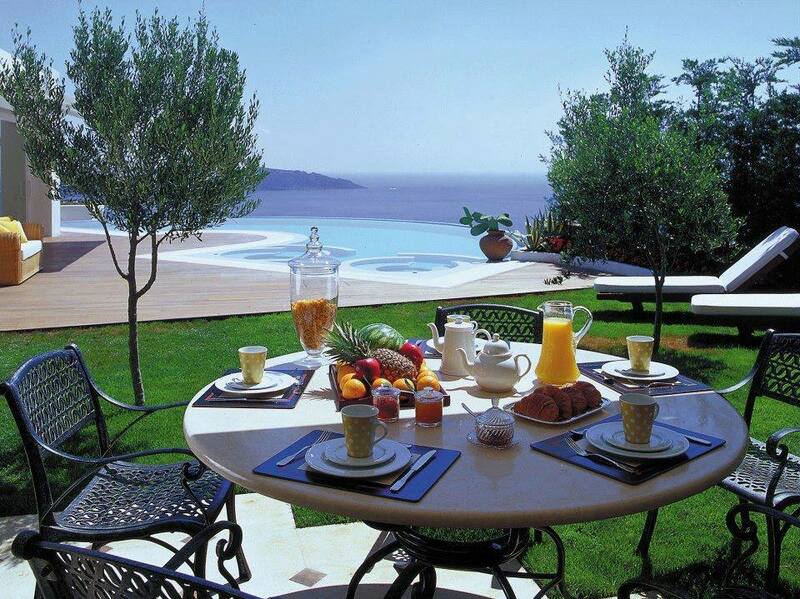 PromoTunisia welcomes guests who use wheelchairs or who have other disabilities. However, it is important that we know of your special requirements as soon as possible since many historical sites are not easily accessible and special arrangements may have to be made for hotel accommodations. Always keep receipts from your banking transactions so you can re-exchange dinars upon departure. However, there are strict regulations about the quantity of dinars you can change back when leaving the country. You are allowed to reconvert up to thirty percent of the total amount you can prove you have changed since your arrival, provided it is not more than 100 TD.